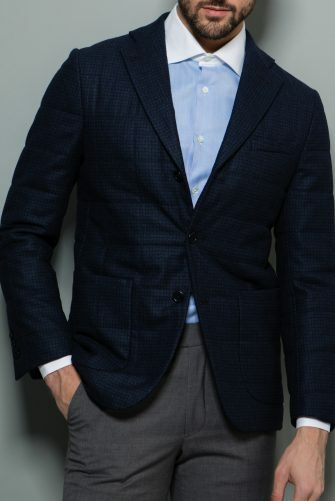 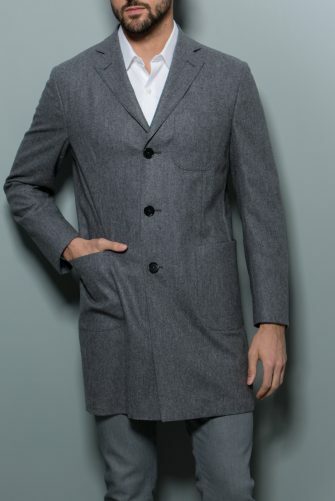 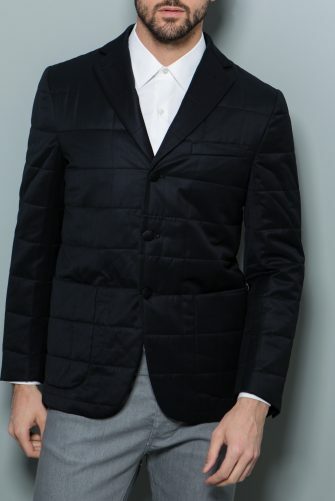 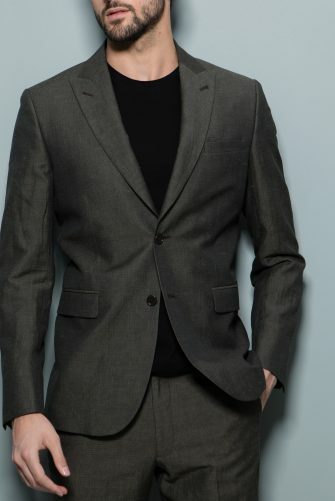 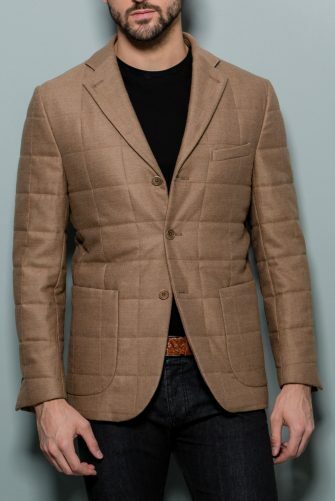 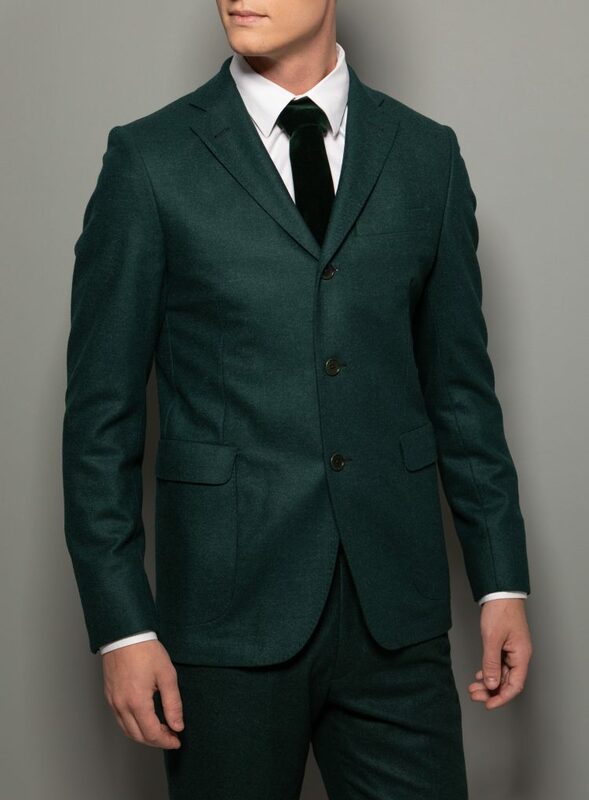 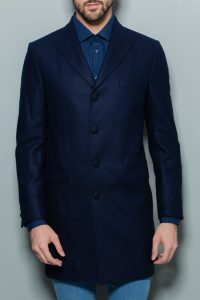 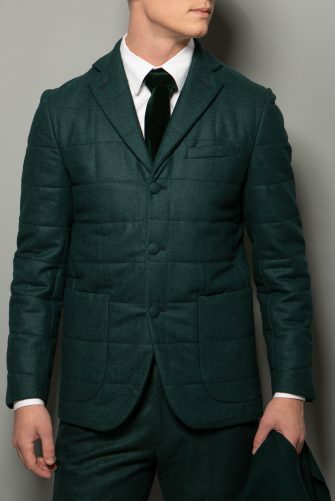 Designed from forest green wool fabric, this unconstructed blazer can be worn both casual or dressed up. 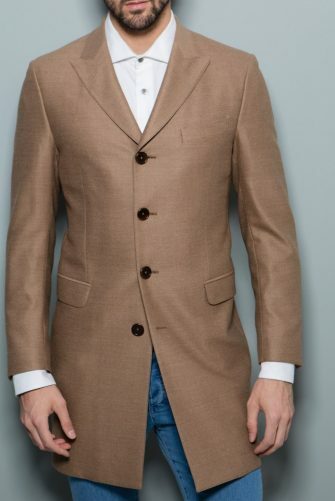 The outside pockets make for a more laid back feel, but the matching trousers allow for use as a suit. 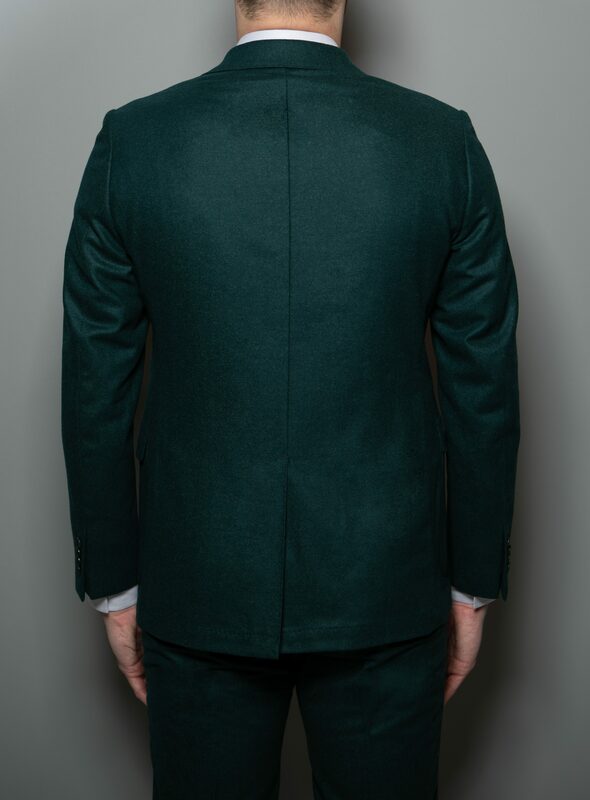 Three corozo buttons, one of which invisible, round out the details of this unique piece.